Waterville is a picturesque little village overlooking stunning Ballinskelligs Bay and uniquely, also nestled on the beautiful Lake Currane which is renowned for some of the best Salmon & Sea Trout Angling in Europe. 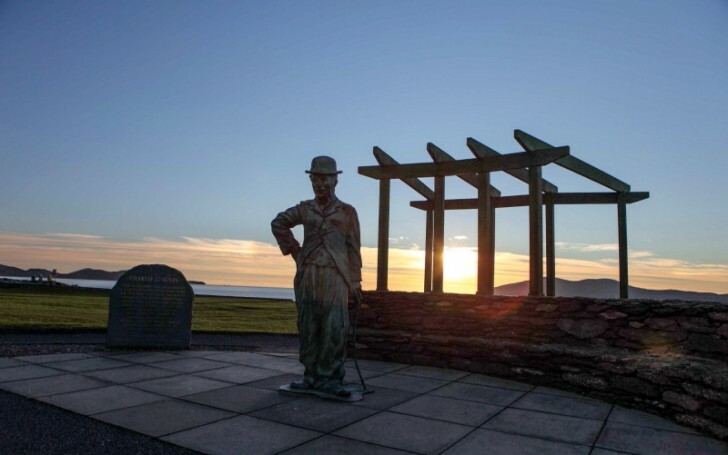 Surrounded by some of the most spectacular scenery in Europe, with friendly Bars, Cafes and Restaurants, Gift shops, a Village Market and with a great selection of available, Accommodation Waterville really is the perfect base for making the most of your visit to South West Kerry. Golf – The village is also a renowned Golfing Destination with two world-class Golf Courses, Waterville Links being a Championship Course. Both have some of the most dramatic views in Europe. Waterville is rated among the top 5 courses in Ireland and the top 20 links courses in the world. Fishing – Waterville is an Anglers Paradise with Lake, River, Shore and Deep Sea Angling to choose from, it appeals to all Anglers. The Fishing Season opens on January 17th and closes on September 30th. Archaeology – Church Island, Waterville. Church Island is an archaeological site on Lough Currane. Romanesque architecture was introduced into Ireland from the Continent in the twelfth century and here it flourished. Twelfth century Ireland saw an upsurge of church buildings and the borrowed Romanesque style was soon re-fashioned and given a peculiarly Irish cast. Loher Fort – This stone fort was probably the property of a local Chieftain in the early Christian period around the 9th century AD. The walls of this fort survive to a height of over three metres and are three metres thick, sloping inwards as they rise. The site is protected on three sides by high mountains and the views are spectacular. A beautiful Irish seaside Village where our family have a big history, once the family employed nearly 70% of the working population. Huggard’s Stores at the end of the Village, the Bayview and Butler Arms hotels along with the fishing and shooting staff. There was also Foley’s accommodation across from the Fisherman’s Bar. Today Louise and Paula Huggard run the Butler Arms hotel and the Fisherman’s bar where it has its large share of very famous visitors. Names like Walt Disney, Charlie Chaplin, Alec Guinness, Shirley McClane, Tiger Woods, Michael Douglas, Catherine Zeta-Jones, and recently the Star Wars actors and crew.